100 Year Old Weblog: TETRAZZINI HERE FEB. 1. ~ Great Coloratura Will Sing in Concert in Convention Hall. TETRAZZINI HERE FEB. 1. ~ Great Coloratura Will Sing in Concert in Convention Hall. Arrangements were completed yesterday by Manager Louis W. Shouse for the appearance at Convention hall on February 1 of Mme. 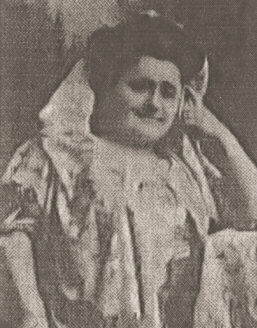 Luisa Tetrazzini. It will be her only appearance outside of St. Louis and Chicago in this part of the West. Mme Luisa Tetrazzini is today the recognised queen of colorature sopranos, both on the concert and operatic stages. She is the leading exponent of that now almost lost art -- the Art of Bel Canto. She is in the prime of her life and at the zenith of her career. Indeed, as a bravura singer, Mme Tetrazzini may be said to have no living rival. The characterizations applied to her by the London critics when she took the British capital by storm in the autumn of 1906 -- "The New Patti" and the "Florentine Nightingale" -- have been fully justified by the opinions of all the leading American critics who have heard her since Mr. Oscar Hammerstein brought her to this country as a member of his Manhattan opera company.